"It's all a bit raw," says a BHS employee in Oxford Street. Knighted business tycoon Philip Green is in a parliamentary hearing today to establish the extent to which he is responsible for the collapse of BHS. Let’s just step back from this story for a minute, and let the numbers soak in. A billionaire (Philip Green) sold a company he’d bought for 200 million pounds for a single pound to a former race car driver who’s been bankrupt three times. 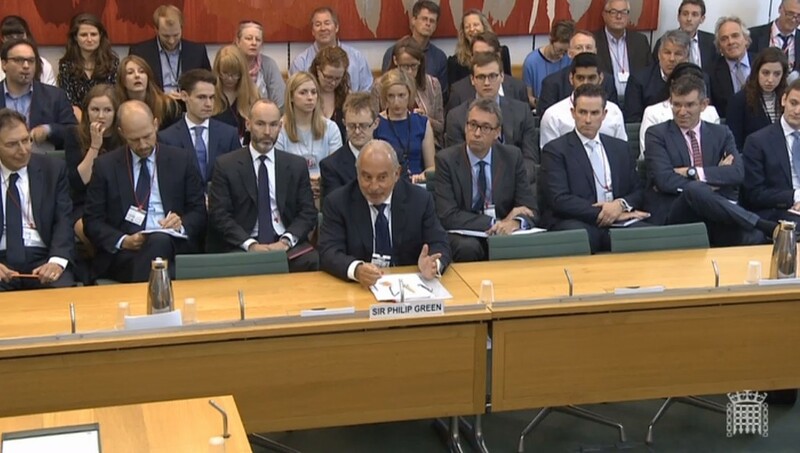 Even if Philip Green paid £280 million into an emergency pension fund for BHS employees, that’s still only 12.5% of the value of everything he owns, minus his debts (his net worth) – so financially, he’s probably going to be fine whatever happens. And yet 11,000 people are set to lose their jobs, 20,000 will see a 10% cut to their pension savings, and £36 million of taxpayer’s money is at risk. Eleven thousand employees. The comparison that hit home for me is this: I have 1,000 friends on Facebook. BHS closing down is equivalent to all these people (pretty much everyone I’ve ever been friends with) losing their job at the same time, multiplied by 10. Yet in all the coverage I’ve seen, the 11,000 BHS staff are just a number in a story about opportunistic and incompetent businessmen, an added example to illustrate the extent of the damage they’ve caused. But each of those 11,000 people has their own lives, hopes and struggles, and those aren’t being heard. What’s it like to have the story of your redundancy played out across the news? I went along to the Oxford Street BHS earlier this week with the aim of finding out. The first lady I asked looked at me kindly and said that they’d been told they weren’t allowed to speak with the press. “It’s all still a bit raw,” she said. I asked three or four others on different floors and got the same answer. “We’re not allowed to talk to the press.” If they were angry and upset with the management of BHS then they were just as suspicious and wary about me when it became clear I was part of the press. It seemed like they didn’t trust the press to represent their perspective on the story. As if they didn’t see any point in it being out there because it wouldn’t change anything and would only risk causing them more stress if they were to get in trouble. Like a mafia film in which no one talks to the police because there's a code of silence and deep mistrust of outsiders. Large numbers of people seem to feel like they have no reason to or way of contributing to debate in the media. This matters more than ever when you’re talking about economic issues that affect everybody, yet no-one seems to feel qualified to discuss. The media is one of the main forums in which public political discussion takes place. It shapes political agendas and forms public opinion. 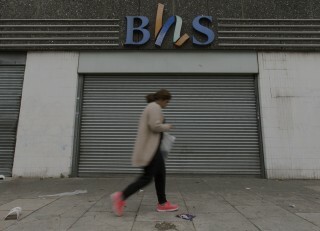 The absence of the 11,000 members of staff (apart from as a statistic) from the debate about what went wrong at BHS and what we should learn means that we’ll only get a very partial public debate and we end up with an impoverished civil society. Take pensions. The BHS pension fund was £571 million in deficit when the company declare bankruptcy. When a company files for insolvency, the staff are only entitled to receive 90% of their former benefits – in other words, 20,000 current and former BHS staff will lose 10% of the value of their savings. According to the Financial Times, 4,804 of the 5,945 pension schemes eligible for the Pension Protection Fund, a government-backed scheme to protect pensions, are in deficit, which came to £270 billion altogether at the end of April – putting thousands more people at risk. What's a pension fund deficit? When most of us think of pensions, we just think of savings that we put into a fund for the future. In reality, the funds that manage pensions invest them in all sorts of things on the stock market to increase the amount of money in the fund. Every fund has assets – things they own – and liabilities – things they owe. Sometimes (okay, quite often), they have more liabilities than assets – that's a deficit. They let this happen because they're convinced their investments will work out and they'll be able to flip this balance around in time. Unfortunately, it doesn't always happen that way. In the coming weeks and months journalists and politicians will discuss in the media how to reform pensions to reduce this deficit, but I’m willing to bet that the people affected won’t be able to join in: because they won’t feel qualified, and more importantly, they won’t be asked. As long as ordinary people like those I spoke to at BHS on Monday don’t feel like they have a voice in the media public discussion in the UK will continue to be missing a crucial element – the public. The media will continue to report on speeches made by politicians about how to solve the pension crisis and commentators will write about how to strengthen ethics in corporate governance, giving the impression of a vibrant public debate. But the reality will remain the same: a very small number of people continuing to talk to each other while everyone else is left to deal with the consequences.